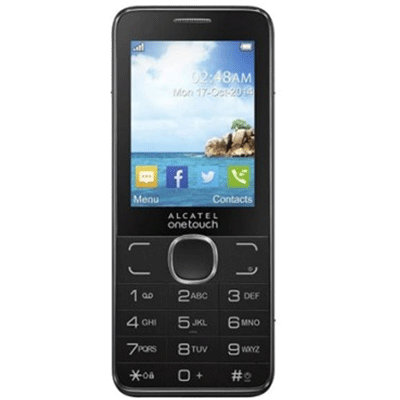 The Alcatel OneTouch 20.07X has a large clear 2.4 inch LCD display on which to view the devices built in apps such as Facebook and to view photos of friends and family. The display has a resolution of 320 x 240 pixels. The device has a slim and sleek body with built in apps such as Facebook and Twitter to get you instantly connected. With its modern look the device has a large capacity 1000 contact directory. The device features Bluetooth Dialer to allow you to read and reply to SMS messages and to remotely access your calls or control the 1000 songs that can be available on your playlist. 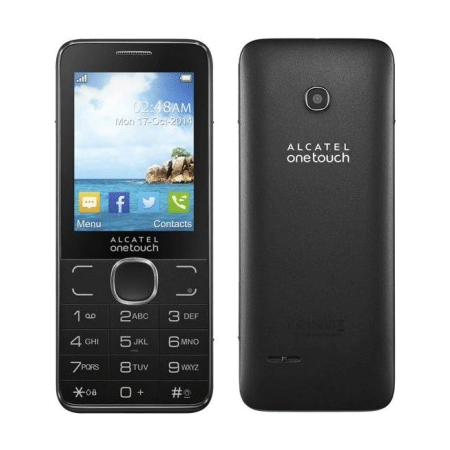 The device comes with microSD support expandable up to 8GB and with FM stereo radio also available you can keep updated of daily news on the go. The battery will provide up to 5 hours of talk time and 375 hours of standby time.